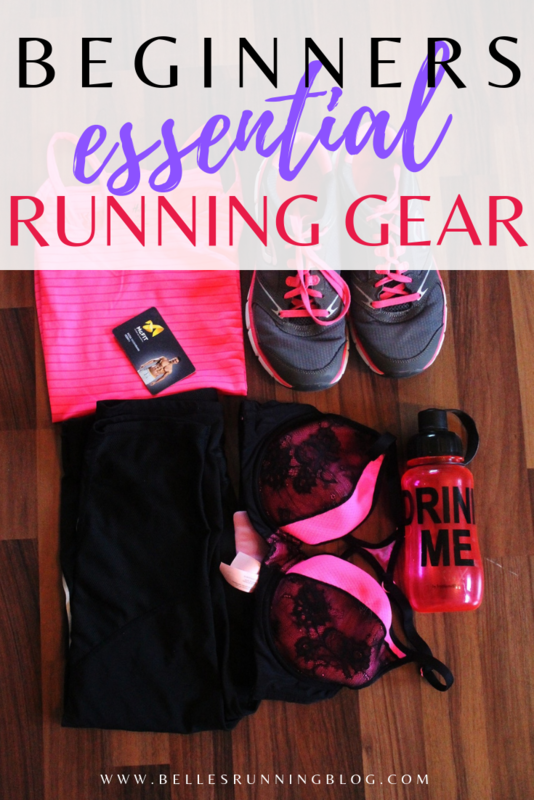 I’ve put together a list of essential pieces of running gear that you’ll need to help you avoid injury, add to your convenience and keep you comfortable. If you’re a female, the sports bra is going to be one of your staple essential pieces of running gear. Do not underestimate the importance of a good sports bra. Wearing a sports bra will preserve the long-term health of the breast tissue as they are designed to reduce movement and prevent pain and stretched ligaments. I love the Nike sports bras because they’re super durable and mine are still going strong after years! Definitely worth the investment. If you only invest in one piece of running gear, make it your running shoes. 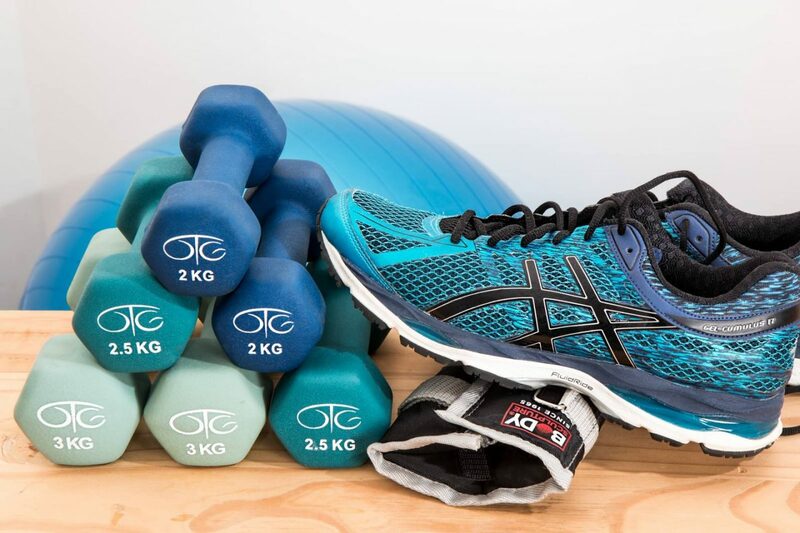 I know it can feel quite daunting as a newbie to walk into a running / sports shop but trust me I’ve never had a bad experience and they’re very knowledgeable when it comes to what you should put on your feet! Get your gait analysed at your local running shop. They will likely film you running on the treadmill and suggest the best style for your running needs. The best type of running shoe will counteract any gait issues you may have and will keep you injury free. An interesting fact, Asics, the trainer manufacturer, claim that around 70% of runners over pronate. You do not need to spend a lot of money on tops and vests specifically designed for exercise/ running. However, a well-fitting top can wick sweat away from the body, prevent chaffing and provide you with some protection from heat, wet and other conditions. Your running shorts or leggings should be comfortable and not too loose to avoid chaffing. There are so many different styles and fit of leggings that it’s best to go with the most comfortable for you. You want something that is breathable but that doesn’t slide down when you’re running. I’m not a great lover of running in shorts but during the summer months I’ll wear a 3/4 length or shorter length legging. Don’t forget your undergarments while running. If you’re wearing the wrong underwear this can be the difference between a terrible run or an amazing run (wear the wrong underwear on one run and you’ll see what I mean). This is going to be trial and error so try all of the underwear you have out for a spin running and find the pair that suits you! After running shoes, what socks you wear is the next most important piece of running gear you should invest in. If your shoes are a perfect fit for you but your sock keeps slipping down into your shoe it can put you out of action for days waiting for a blister to ease. My sock once scrunched down underneath my foot and wouldn’t stay in place so I eventually left it and kept running. I ended up with a very sore underfoot and it took weeks for me to run without pain again! You don’t need to invest in an expensive pair of running socks though. The ones I wear are very cheap and not designed for running but they’re my absolute favourite (and they have unicorns on them!) and I will choose these every time on race day. Check them out here. If you’re heading out into the cold weather to run, there are a couple of things that will keep you better defended against the elements. I know a lot of runners who will go out in gloves and hat but I find them much too fussy for running in. I do like to wear an ear defender when it’s really cold or very windy to protect my ears and avoid headaches and will also put some finger less gloves on when I first set out and then put them into my running belt once I’m warm enough. I’ve written an entire post about Everything You Need to Know About Running in the Winter which will give you some additional tips on how to keep warm and motivated during the colder months. An essential for me if I’m running a race, the running belt, as well as for longer runs (or any run that I don’t want to lose my keys… it has happened and I had to track back to find them laying in the grass on the side of the road!). Check out the exact running belt I use here. Typically, a running belt will be a thin belt which fits snuggly and won’t move around while you’re running. I feel happier knowing my keys are fully tucked away and I can even fit my phone into it (I have an iPhone 7+ and it’s plenty big enough). There’s also a hole for your headphone cable and even a little water bottle holder if you’re intending to take water with you. If you’re going to be running in poor light, you must make yourself visible to traffic if necessary with reflective strips. You can also purchase highly reflective jackets and tops. Check out this collection of highly reflective running gear from Proviz who have the best high visibility clothing on the market. The debate is on whether listening to music can improve your performance while running but personally I find it difficult to run without music. Spotify has a running feature that will analyse your running pace and provide you with music to match your BMP to your strides. If you’ve never tried out this feature before check it out and you’ll likely discover some new running tracks for your permanent playlist too! If you’re running in the heat you should consider taking some form of hydration along with you, especially if you’re out for longer than half an hour. Either get a small one that can fit into your running belt or get a brand with an easy grip with a hole in the middle which will make it easier to carry while running. Check out this super affordable running bottle here. While these have limitations compared to a sports watch, pedometers can give you an idea of how long your run was. If you’re new to running and don’t have access to a GPS tracker, they’re the next best thing. Way before GPS on Watches and Smartphones, I used to run my route and hop in the car to trace the miles back. The cheapest way to use a GPS tracker to track your runs is to download an app onto your smart phone. Strava has an excellent tracker and Map My Run is a old favourite too. If you’re low on data, this might not be the most viable option for you. If you’re looking to make an investment further down the line, check out a sports watch / activity watch with inbuilt GPS. While they are on the pricier side, I’m glad I made the investment as I can also use it to alert me if I’m running to slow/ fast during a race and it will pace you perfectly the entire way around. They’re also more convenient than looking at your phone during a run. If you want something more accurate than a Smart Phone to track your effort levels but don’t want to invest in a GPS watch, I’d suggest pairing a running app like Strava with a heart rate monitor. I used a Polar heart rate monitor for years before I invested in a watch with GPS so that I could easily gauge my effort levels. These usually come with a heart strap that you put around your upper torso which will provide you with an accurate heart rate reading. When you’re new to running it can be difficult to know what your effort should be, if you start off keeping track of your BMP instead of speed / distance you’ll know that you’re training at the right effort. Over time you’ll get to know your heart rate threshold and you’ll need to look at your heart rate monitor less and less. You’re more likely to give up if you’re working way too hard or not pushing yourself hard enough and a heart monitor will help massively with this. There are a couple of easy ways you can stay safe while on a run (especially if you’re a solo female runner) and alert someone to a potential injury / danger situation. If you’ve got a Garmin watch you can set up Live Track which will automatically send the recipients of your choice an email immediately after obtaining a GPS signal. This email will contain a link for them to track you in real time on a map (your phone must be linked for this to work on some watches) and they can see exactly where you are and how fast you’re travelling and see whether you got home safely. The paid version of Strava will also do a similar job. You may also wish to carry around a pocket torch or alarm if it will make you feel a little safer to do so. When it’s dark, I’ll take out my little torch so I can light up the path ways and avoid tripping on uneven ground surfaces as well as alerting anyone else on the path to my presence. I hope you find this list useful and will help you get started as a beginner runner. If you’ve got any other essentials let me know what you can’t run without.